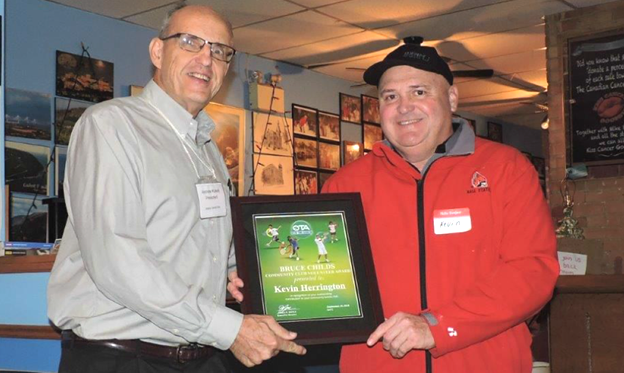 Kevin Herrington (above left), was presented the Bruce Childs Memorial Award recently by Andrew Kokelj (above right), President of the Alliston Tennis Club. 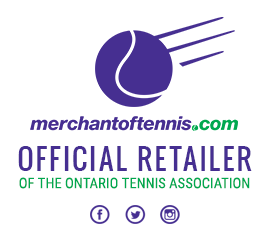 The Bruce Childs Memorial Award was established by the Ontario Tennis Association to recognize an executive member or dedicated club volunteer who has made an outstanding contribution to his community tennis club for an extended period of time. Bruce Childs was a long time volunteer at his community club in Toronto. In his younger days Kevin played hockey in College, professionally in England. 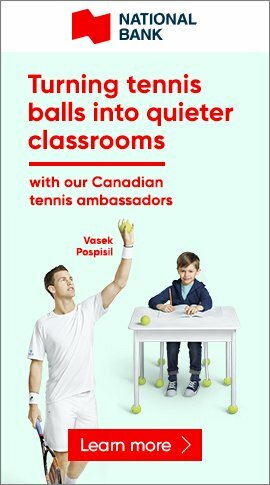 But it was his dedication to teaching tennis, particularly with Juniors’ for nearly 12 years, that has made a difference at Alliston. He and his wife Debbie have raised two outstanding daughters, Rebecca and Victoria. Rebecca is now attending Ball State University, Indiana on a tennis scholarship. The family have been loyal supporters of tennis at the club encouraging participation in Alliston and the surrounding area. 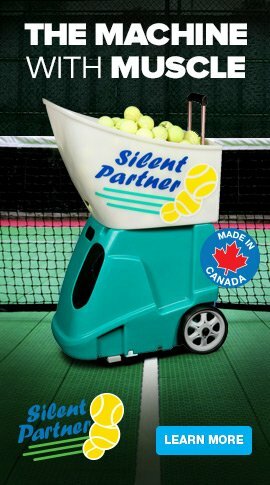 Picture and story courtesy of Alliston Tennis Club. The OTA would be pleased to provide an executive member of any OTA club with the Bruce Childs Community Club Award so it can be presented as a certificate of recognition at an activity such as your club's AGM, a year end event, etc. 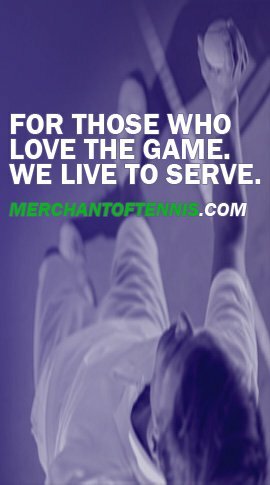 For more information on the Bruce Childs Memorial Award, contact Jay Neill at jneill@tennisontario.com.